"Quoyle was not going back to New York, either. If life was an arc of light that began in darkness, ended in darkness, the first part of his life had happened in ordinary glare. Here it was as though he had found a polarized lens that deepened and intensified all seen through it. Thought of his stupid self in Mockingburg, taking whatever came at him. No wonder love had shot him through the heart and lungs, caused internal bleeding." I am a habit-bound person. All I need to do to get myself into any sort of routine is make myself do something for a few weeks, and I'll just keep on doing it once I get set into it. This comes in handy with exercise (once I can make myself get out there and actually do it, of course) and lunch (I eat literally the same exact thing every day and have for years), less so when I get so stuck in my patterns that I don't get outside the box every once in a while. There's a happy medium between slavish devotion to a habit and complete chaos, and working on finding that medium is something that's challenged me for years now. But the rewards of actually scooching outside of your established patterns can be high indeed. 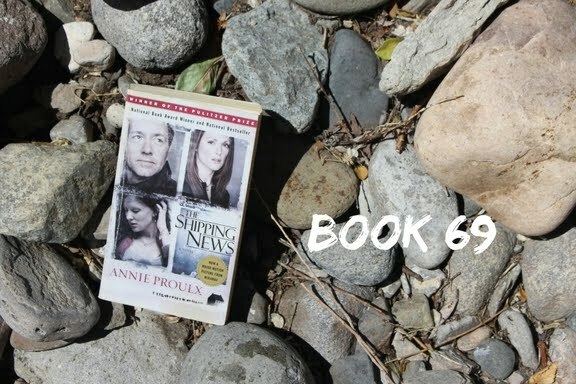 And finding the kind of ordinary bravery that it takes to make a change in your circumstances and how powerfully doing so can change you for the better, is what for me was at the heart of Annie Proulx's The Shipping News. Our protagonist, Quoyle (his last name, he's never given a first name), grew up the less-loved son of a cruel father. He's a big man, not particularly attractive nor particularly mentally gifted, and with the kind of aura of pathetic sadness that people seem to avoid almost in fear that it'll be catching. He ends up working at a newspaper, and then meets and somehow marries Petal, who is lovely but unhinged, and manages to have two daughters with her. She quickly comes to loathe Quoyle, and is constantly and obviously unfaithful. She finally leaves him, but karma comes around fast and she's killed in a car accident almost immediately afterwards, leaving him a despondent widower and single father. Luckily, this is when his father's sister turns up and invites him to join her in returning to the small coastal town she and Quoyle's father grew up in: a place called Killick-Claw in Newfoundland. Not having any other real options, Quoyle accepts and gets a job covering car crashes and shipping news for the local paper, The Gammy Bird. Over time, he develops real and deep friendships with the other townspeople, and grows closer to a young widow raising a child of her own. These slow developments in Killick-Claw make up both the bulk of the book (the plot is pretty front-loaded) and the meat of the book: Quoyle coming into his own is what it's actually about more than anything else. This book seems like it should be tailor-made for me: small-town life, lovely prose, character study. But it just never quite clicked, much to my regret. Proulx's writing is fantastic, lovely and evocative without going into purple territory. She builds Quoyle bit by bit, showing you who he is without telling you...Quoyle's constant demonstrations of affection and concern to his daughters makes it clear how deeply important they are to him without Proulx having to spell it out. But I think it was my issues with Petal that torpedoed it for me. Besides her preposterous name (Petal Bear? really? ), she couldn't have been more of a two-dimensional character: she is hateful and cruel and it's not enough to have her cheat on him, she has to bring men to their house to do it. It's not enough for her to eventually leave with the girls, she has to sell them to a pornographer (obviously they are recovered). I could believe that the kicked-dog of a man he is in the beginning would continue to love her despite the cheating, but after she tries to sell their kids like that, I can't believe that anyone would so easily forgive and hold on to that relationship as their great love affair. And since his slow process of recovery in a new place constantly references her and their tragic "love", I never could quite buy into it. Just never came together for me the way I wanted it to. 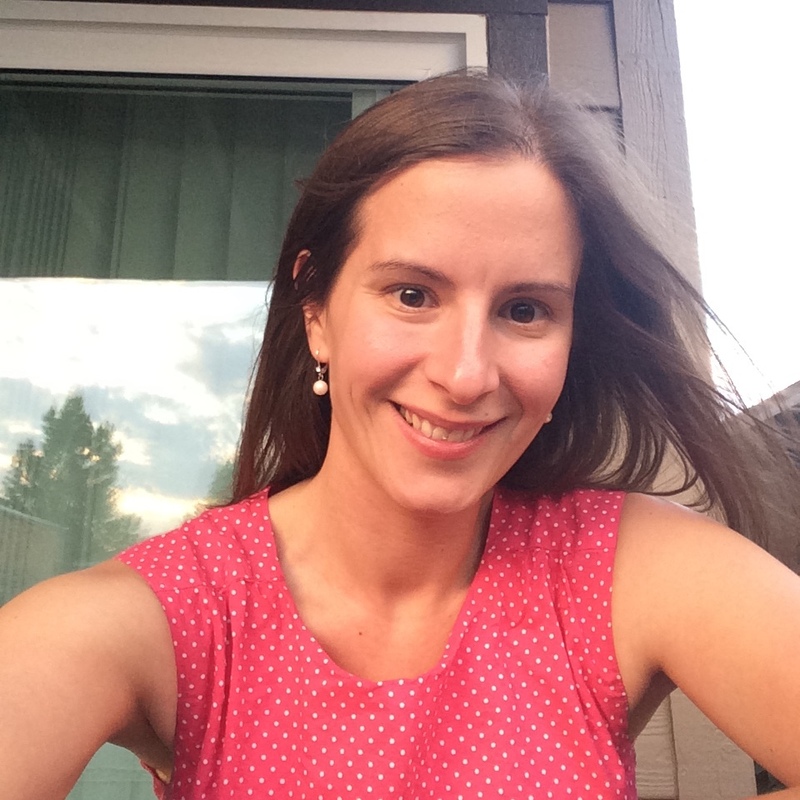 Tell me, blog friends...what do you think you couldn't forgive?